Kailash trek via Simikot is all on a pilgrimage tour. Mt. Kailash is situated at 6,714 m, it is also known as Tise, Kailasa and Kang Rinpoche, the Jewel of the Snows, has since time immemorial been celebrated in many eastern cosmologies. It has been the center of the physical and metaphysical universe. Mt. Kailash is the most sacred pilgrimage destination for more than one religious cult. It is not only the dream of Hindus, but is also a desire of the Jains, Buddhists, and Bonpos to have trekked in the area. For Hindus, it is the home of Lord Shiva, Jains consider it to be the spot from where their first apostle Lord Rishabhdeva was liberated, and Buddhists consider it to be the site which Buddha magically visited in 5th century B.C leaving footprints on the rocks of Kora surrounding Kailash. This sacred mountain is believed to be the center of the universe formed 50 million years ago, even before the Himalayas. It is a remotely notable peak in western Tibet, which is the most worshiped by over thousands of people annually. The only way to reach here is certainly via the difficult Kailash trek via Simikot that is nestling on the frontier of Nepal and Tibet. Simikot is the recently opened tourist site. 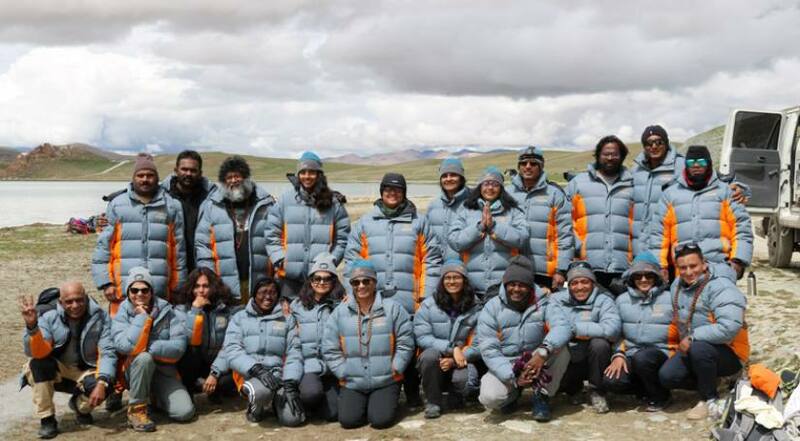 Most of the tourists reach through the helicopter until the border after which they cross on foot followed by the drive to Purang and then to Mount Kailash and the holy lake of Manasarovar Lake. However, if you want to take up some challenging adventure on your religious excursion, then go on foot, because, while having trek on foot, you gain such an experience that is not possible to describe this extraordinary voyage by words which leads you via secret Humla valley. The Kailash trek begins from Simikot after reaching there by short flight and follows the old salt trading route leading to the Nara Langa pass and then halting at the Takako's border trade post. Then, the trek reaches the Gurla Mandata Mountain and continuing in the north to the Lake Manasarovar’s shore and the Rakshas Tal Lake. After this, you reach the Darchen settlement on the base of the Mt. Kailash and making excursion to Mansarovar lake, you take up the jeep drive to explore the long Zangpo River as well as the extensive Tibet Plateau and enjoy the majestic views of the Himalayas by moving south up to Zangmu town on the border for gaining an entry in Nepal from the Friendship Bridge. If in case you return without completing yatra returning back expenses such as Jeep, Food, and accommodation ( Your Insurance may cover it). Anything not specifically mentioned in the “INCLUDED” list above. WHO CAN'T GO TO TIBET? How to be friendly with environment of Tibetan Plateau?